The festive season is fast approaching and I figured I should pick something up for the family dog, Cinder. I stopped by my local Pet Value pet supply store and had a look around, where a salesperson brought my attention to the Orbee-Tuff Bone made by Planet Dog. With a hint of mint oozing from the non-toxic, recyclable bone, and a rating of ‘three out of five chompers’ for durability, I figured it would both hold up to an old dog who used to tear through chew toys and perhaps even freshen her breath a little. The other neat thing about the Orbee-Tuff Bone is that the center along the length of the bone is hollowed out, creating the perfect hiding place for treats. So not only will this toy work out your pup’s jaw, but their mind as well while they figure out how to free the treats! The Orbee-Tuff also comes in blue, green or pink and ranges from an x-small size (3 1/2” long) to large (8” long). The large bone retails for about $16.99 plus taxes, so it won’t break the bank. Once back home, my new Orbee-Tuff Bone in hand, I took a scientific approach to testing the bones breath freshening capabilities. I got down on all fours and took a controlled sniff of Cinder, who was delighted to lick my face in return. I also asked my Dad to do the same. The results? Kevin’s Dad’s Stink-o-Meter: A good bout of laughter followed by, “That’ll teach you, son,” as he walked away. Having satisfied my scientific urges, I gave Cinder her holiday gift. She gave the bone a few chews, and then sniffed it a little before leaving it on the kitchen floor, obviously not impressed that I had delivered Christmas early. The hollow centre, however, came in handy to renew her interest. I put in a couple kibble pieces and Cinder was back to investigating the bone in no time. She gave it a few more chews and turned it around on the floor for a while, before the kibbles fell out and she gobbled them up eagerly. Unfortunately this is where she lost interest yet again. Over the next couple days, she would only take interest in the bone if I antagonized her with it, and as soon as playtime was over, she would happily ignore it once again. I have a feeling this is more a reflection of my dog’s character in her old age than the product itself. The bone did put up with her chewing and our playtime and I definitely found the hollow center useful in getting her interested in the bone. I do, however, reserve my judgment on how it freshens a dog’s breath. Of course Cinder did not get much use out of the bone so perhaps my conclusions are a bit biased. I think it’s safe to say however, that the mint scent would do little more than add a minty overtone to the pungent undertone of a dog’s breath. But, for science sake, I took one more sniff just in case. The results? Kevin’s Dad’s Stink-o-Meter: “My son, the genius,” shaking his head as he walked away again. Who Will Be the Pet of the Year? Who was your favourite Pet of the Month for the year 2010? 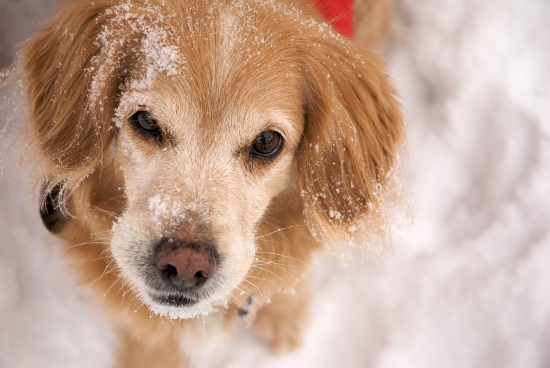 Cast your vote by writing the pet’s name on our Facebook page wall! The pet with the most votes by New Year’s Eve will win four fabulous custom designed pet ID tags from The Tag Studio (one for each season or major holiday!!!) Plus, the title of “Pet of the Year!” Trust us, these stylish tags are GREAT, but if you don’t believe us learn more about them here! So what are you waiting for? Tell your friends and vote today! And the nominees are…. So quickly! 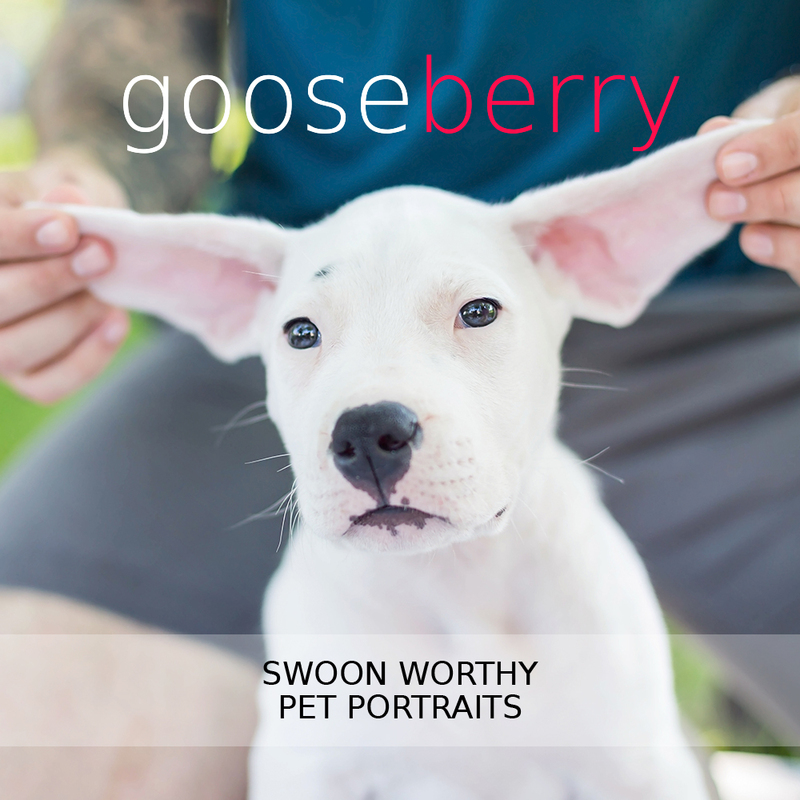 Cast your votes today for one of these adorable canine companions! And psssst! All you cat owners out there, please be sure to send in your photos for future “Pet of the Month” contests! You can’t let dogs have all the fun! The Tag Studio is IT for Stylish Pet ID! 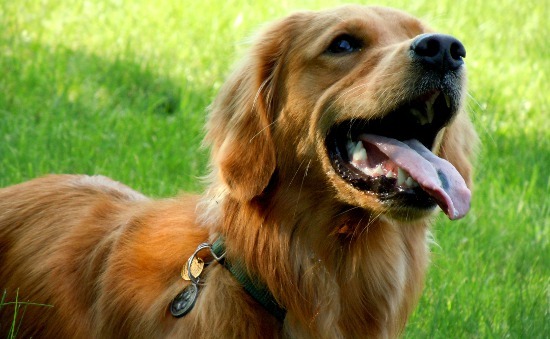 There can be no denying that pets have unique personalities, so why not treat them to an ID tag that truly fits not only their name, but their character too. 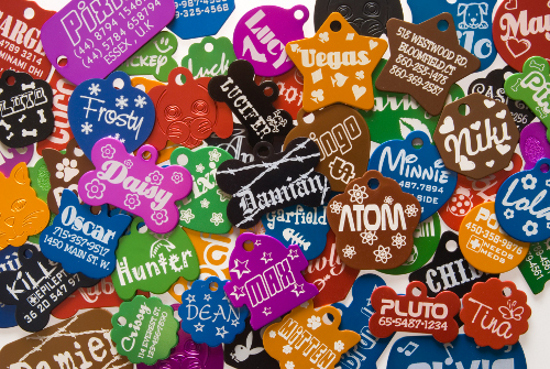 Founded online in 2008, The Tag Studio offers an extensive range of ID tag options to reflect the individuality of each pet. Equipped with a collection of 15 different shapes composed of the finest anodized aluminum and all available in 8 bold colours, this Montreal family business presents a custom software interface so that you can personally design your tag with the simple click click click of a mouse. 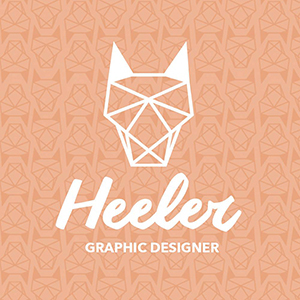 Choose from a over 50 fun fonts and 100 different graphics, as well as all sorts of interesting backgrounds and layouts. There are even clever holiday and Halloween designs available, including snowmen, reindeer, ghosts and goblins! The Tag Studio thinks of everything when it comes to efficient and stylish tag design, even offering a unique “Medical Condition” parameter for pets’ important medical information, further enhancing their safety when away from home. High resolution icons indicating cell phone numbers, home numbers and microchips can also be included at no additional cost. And the best part, you can fully preview your tag’s design every step of the way, as well as have the option of receiving PDF proofs for approval before your order is finalized. Usually processing within 24 hours and delivered to your doorstep by Lettermail or Xpresspost with tracking, these little laser engraved gems are the perfect holiday gift for your beloved pet. The Tag Studio is it when it comes to creating a beautiful product that will help your pet find their way home in style. Remember to cast your vote for your favourite “Pet of the Month” and help them win not only the “Pet of the Year 2010″ title, but also four of these fabulously stylish pet tags too! While the irresistible scents of roasting turkey, warming shortbread and frothing eggnog linger in the air, so too does the perpetual worry of packing on a few too many holiday pounds. But what about the holiday weight put on by your pets? Although it tis’ the season for splurging and spoiling, when it comes to dishing out decadent pet treats, a lot of owners are barking up the wrong Christmas tree. Rather than feed your beloved pooch treats containing unnatural preservatives and additives, which can be harmful to digestion and general nutrition, why not consider going to an all natural pet-bakery and getting some healthy gourmet goodies? Founded by Carol Elliot in 2004, on beautiful Vancouver Island, Pet Treat Bakery creates high quality, natural ingredient, sweet treats fit for any furry friend. To make a long story short, a little SPCA rescue dog called Spike is the reason behind Pet Treat Bakery. Spike refused to eat usual commercial treats, so one day Elliot’s daughter-in-law suggested baking for the fussy little dog. The resulting banana biscotti was wolfed down in two seconds flat. Elliot continued baking for Spike and a few canine chums, using only wholesome chemical free ingredients, until something reminiscent of the “Twilight Bark” from Disney’s 101 Dalmatians happened. 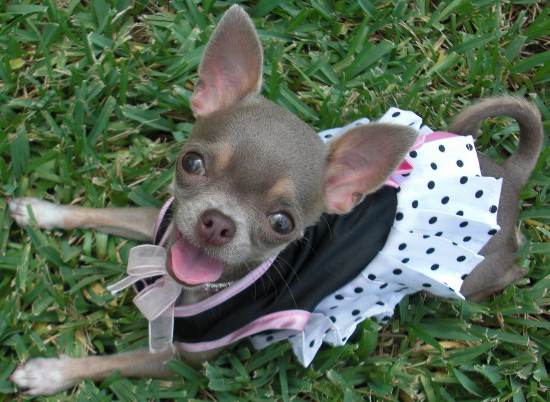 Demand for Elliot’s delicious pet savvy treats sky-rocketed and before she knew it, a bakery was born. Today, Pet Treat Bakery’s products are sold in 35 different shops and five veterinary clinics – and Spike is the company’s president. The philosophy behind Pet Treat Bakery is threefold. Firstly, treats have to be all natural. “Peanut butter has to be just peanut butter,” Elliot insists. “No chemicals that you can’t pronounce.” Secondly, treats have to be tasty. Spike always lends a paw with this process, although sometimes a difference of opinion occurs between official taste-tester and chief baker. “I hate liver pate, but he loves it,”chuckles Elliot, who guarantees Pet Treat Bakery’s products are safe for human consumption. And finally, treats have to be affordable. Nowadays a lot of dogs have developed environmental and wheat allergies, so Elliot has modified several recipes to suit these otherwise treat deprived pups. The sumptuous ‘Sweet Potato Pie,’ for example, is made with no grains, no eggs and no dairy, so dogs with allergies can indulge. Dehydrated beef, bison and pork liver is also allergy friendly and contains no cholesterol. Elliot warns,, however, that although her pet products are safe for human consumption, not all human foods are safe for pets, like chocolate. Onions can also be lethal to dogs, grapes, currants and raisins harm the canine kidneys, and some dogs have trouble digesting peppers. “People should be especially careful about giving their dogs Christmas dips with an onion base or leaving chocolates on tables this time of year,” says Elliot. She recommends instead trying your hand at making some tasty Christmas Twisters. Emily Ho never dreamed she would start an all natural pet bakery, but while attending university a chocolate lab led her from paramedic studies to an entirely different path. A friend and Ho then came up with the idea to not only make dog treats look good, but to keep them healthy too. 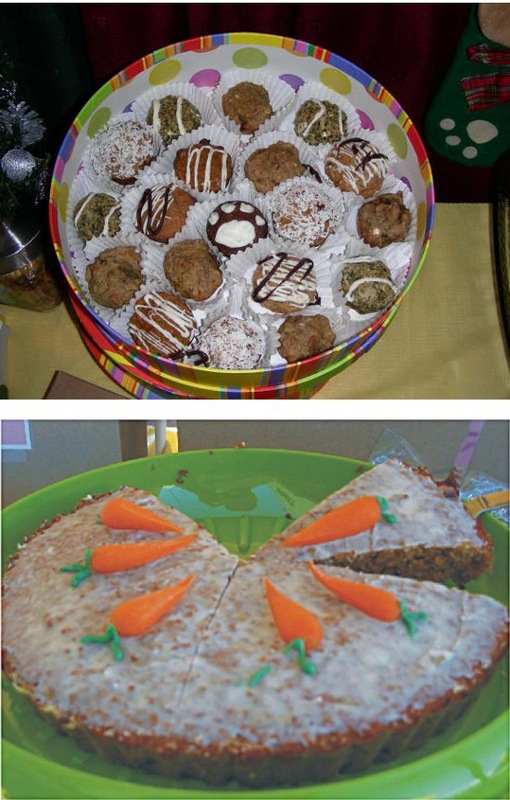 In 2006, Bon-A-Pet-Treat (BAPT) Bakery opened in Calgary Albeta. BAPT offers a wide range of unique products from the oh-so popular ‘Cheese Hydrants,’ ‘Peanut Butter Banana Bones,’ and ‘Honey Apple Bears,’ to a variety of Pup-Cakes, including mud-pie, carrot and brownie flavours. BAPT also produces adorable specialty gift baskets for milestone events in a pooch’s life. For example, there’s the “Nut’s I’ve Been Neuteured,” or “Congratulations on Your New Puppy” baskets – both filled with wholesome drool worthy delicacies. BAPT creates different novelty treats for every holiday and is sure to have an abundance of stocking stuffers in store this season. 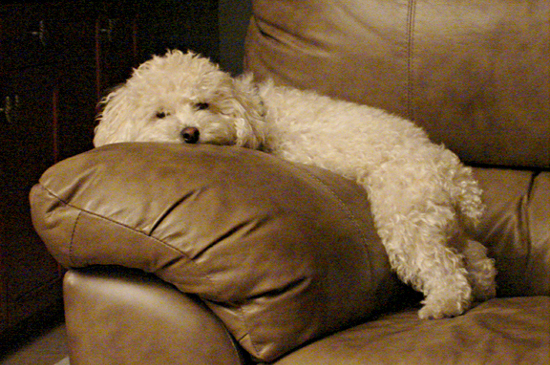 What is Rachelle Jandard’s secret to spoiling dogs rotten and keeping them healthy? Slow baking. Jandard bakes at an even 300 degrees Farhenheit, no higher, no lower. She also does not grind the flax seed she uses (an excellent source of Omega-3, which is great for the skin and coat), once again preserving as much of the fundamental nutrition and flavour as possible. 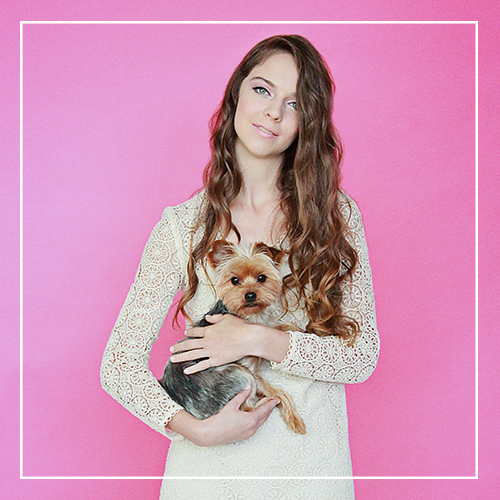 Jandard was inspired by her now nine year old dog, Moka and a desire to give her canine companion only the best, after realizing she had no idea what the majority of ingredients were in typical dog treats. A great deal of research and trial and error later, Jandard developed a few recipes and started giving them out amongst friends. A few months later Global Pets caught a whiff of what was cooking and propositioned Jandard about wholesaling. Spoil the Dog Bakery now supplies 100 locations with hand-made gourmet, nutrition packed pet indulgences. Spoil the Dog Bakery refuses to bake with corn, wheat, soy, salt, suger or any artificial preservatives, preferring to use as many organic ingredients as possible for increased flavour and nutrition, and to support farmers who are attempting to help the environment. The primary base in Jandard’s culinary concoctions is the humble chickpea, very high in calcium and low in calories, and safe to eat for wheat allergy sufferers. Fashioned into cute little shapes, including stars, maple leaves, flours and donuts, these gourmet treats pack quite the nutritional punch, winning praise from veterinarians, pet owners and, of course, the pets! Spoil the Dog Bakery also cooks for the fussy felines of the world, and, as of this year, horses too! There are even some simple healthy snacks you can start feeding your dog today right at home. Carrots are a terrific low-calorie snack, as are apple slices. Oatmeal is easy enough to whip up and provides essential amino acids, while being a great source of fibre and iron. Even garlic can be chopped up and given as a rewarding tid-bit, to help cleanse the blood, prevent pesky fleas and boost the immune system. 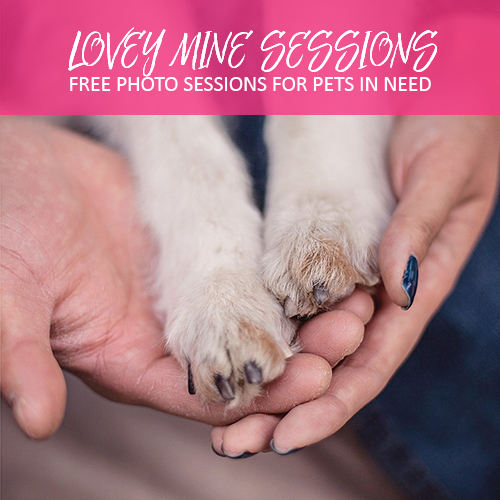 So this holiday season, why not treat your pet the way you would want to be treated? With a delicious mouth-watering snack, that also happens to be good for you. 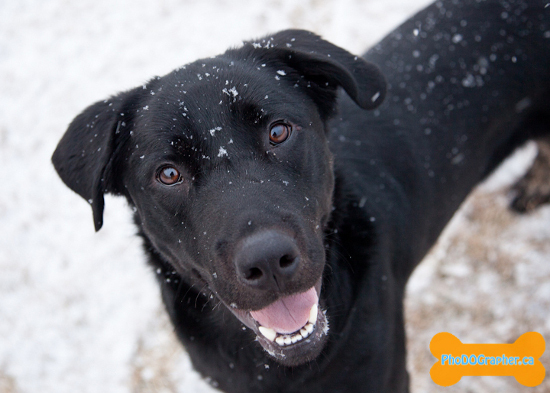 We’d like you to meet Duncan — an adorable and exuberant young man with a true zest for life and a love of snow. Approximately 15-months-old, this happy young fellow made his way to Hopeful Hearts when his time was up at an overcrowded shelter. He is an absolute dream with older children (he loves little kids too, but his large size and bouncy nature make him more suited towards a home with older children) and is a very loving boy with a huge heart to give. He’s eagerly awaiting his forever home and will be oh-so happy to see you! Click here for me information.